Our Little Family: One Of My Heroes! My dear friend, Christina, made her first trip to Salt Lake this weekend and I couldn't let her escape back to her home in South Carolina without spending some time with her before she left. So tonight we met up at the Gateway in Salt Lake and had such a fun time reminiscing about the experiences we shared together over six years ago. I first met Christina when she was 17 years old. I was a missionary in the area she lived (Warren, Ohio) and feel so blessed to have been chosen to bring the Gospel to her. I know that one of the reasons I was called to the Ohio Cleveland Mission was to find and come to know Christina. She is amazing and is such an example to me of courage, sacrifice, and faith. She truly is one of my heroes. 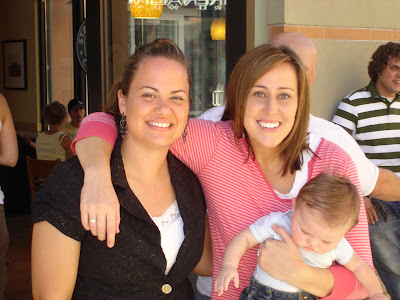 Her husband, Casey, is also a convert to the church. 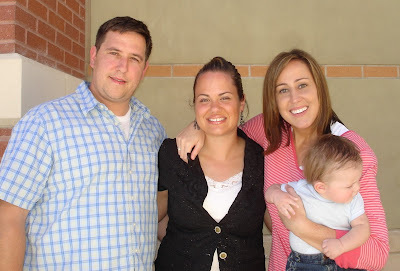 He was baptized by DeEsta Gailey, a high school friend of mine who also served in the Ohio Cleveland Mission. It was so nice to get to know him and learn about his incredible conversion story.